Standing together to stand up to racism and xenophobia – that was at the heart of the first conference session when UNISON’s Black members met in Llandudno today. 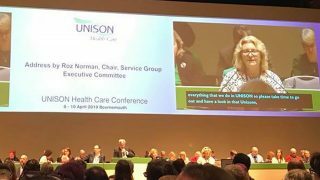 “When we stand together, we are at our best … we march forward from here.” That was how general secretary Dave Prentis put it when he addressed delegates. He praised the group for its work around Windrush, which he described as “an attack on your friends, your families and your communities … people with the right to stay here – our people”, saying that the scandal “must never be forgotten”. And he said that the union would continue to take on those who peddle racism and xenophobia. Before that, when welcoming delegates to North Wales, Councillor David Hawkins, the mayor of Llandudno, had thanked the union for the work it does to combat the actions of the “Conservative zombie government” that is doing so much damage to working people across the UK. And he asserted that, in pushing Brexit, Prime Minister Theresa May, former prime minister David Cameron and former UKIP leader Nigel Farage (and others) had “paved the way” for a resurgence of the far right and overt racism. Opening the first motion of conference, Flora Alsanta from Northern Ireland observed that “the ‘hostile environment’, Windrush and Brexit all come together to” show the extent of the problem of racism. The motion called for greater help for members needing immigration advice and representation. She stressed that this increasing the union’s ability to help with such questions would provide another organising and recruitment tool. In another motion, it was pointed out that 2019 has been declared as the Year of Young Workers: the TUC has said that it is vital to bring young workers into the union movement, to help make the movement strong together. 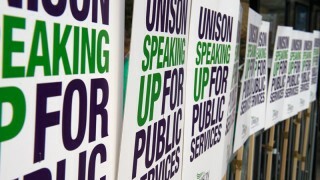 UNISON agrees. But “this not good enough,” delegates heard, after being told that just 14 young members were attending this conference. For the national LGBT committee, Natalie Forbes Smalley called for the national Black members’ committee to work with UNISON’s other self-organised groups on this question – there is “no such thing as a single-issue struggle, as we don’t lead single-issue lives”. 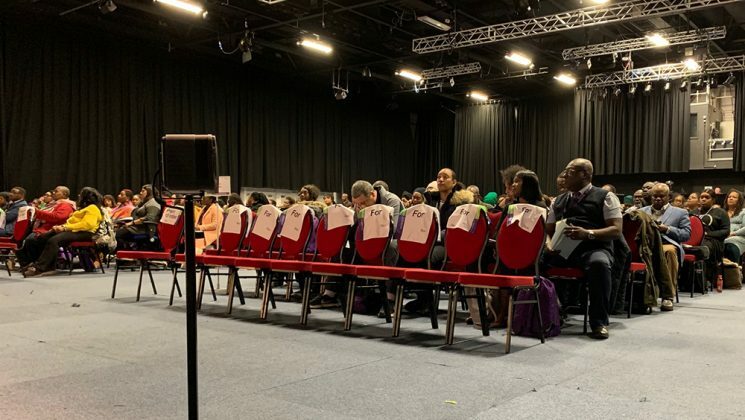 The national Black members’ committee motion, which stressed the need to create a new strategy to recruit young Black members, was passed unanimously. Speaking on behalf of the young members’ forum, Shipa Begum said that increasing the number of young members attending conference from last year’s eight to this year’s 14 was a welcome improvement, but there was plenty more to do. And she was keen to remind delegates that young members are “not only the future – we are the present … and there needs to be more of us”. In other words, we are stronger together – or Cryfach gyda’n Gilydd, as they say in Wales.